A crew of California brown pelicans on their way home, with one guy being the group contrarian. Royal Palms Beach, San Pedro, CA. L.A. Harbor breakwater, 12-4-14 post storm surf. Backwash wave action pops against incoming sets. Norma and I, casting long shadows in the late afternoon. Pt. Fermin, CA. 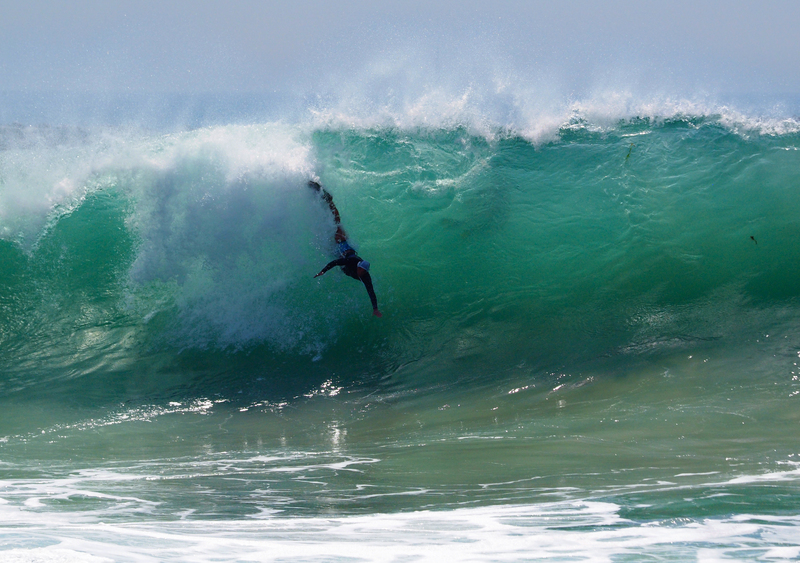 A body surfer at The Wedge caught in the split second of weightlessness…and then gets pounded.